Conditions are now perfect for collecting sap – freezing temps at night and 40s in the daytime. Pennsylvania produces quite a bit of maple syrup – less than Vermont, yes -- but more than New Hampshire. At The Artist’s Inn, we have always served only pure maple syrup. There is just no substitute – we are crazy about the stuff. So, during the month of March, we’ll be featuring breakfasts made with Pennsylvania maple syrup. Stay with us in March and receive your own little jar of Pennsylvania Maple Syrup from Brydonson Farm in Coudersport to take home. It’s the real thing. Of course, we know that most of you come to The Artist’s Inn for a romantic retreat, to soak off the stress in a whirlpool tub, or in front of a fireplace. 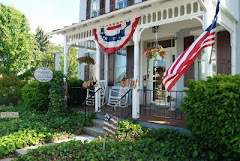 Maybe you’re here to connect with each other and, perhaps to even socialize a little with the innkeepers. Not so for all our guests, though. One in particular (we won’t divulge your name, Bob from Iowa) comes purely for the maple pecan scones. It’s the only way we can entice him to return! Here’s Bob’s favorite scone recipe, and one we’ll be serving when he and his wife Diane visit us again. Preheat oven to 425. Line large baking sheet with parchment paper (or use silpat). Place flour, sugar, baking powder, and salt in processor. Pulse to blend. Add butter and stir until mixture resembles coarse meal. Stir in pecans. Whisk cream, egg yolks, and maple extract in small bowl. Pour into flour mixture, pulse until moist clumps form. Turn dough onto lightly floured surface and knead gently until smooth, about 4 turns. Pat dough into ½ inch thick round and cut shapes for scones, using either a fluted cutter or just cut into triangles. Transfer scones to baking surface. Brush with egg glaze. I like to sprinkle them with coarse sugar. Bake until scones are browned and tester inserted into center comes out clean, about 14 minutes. Cool slightly and serve warm or at room temperature. Soon it will be Lent. That means that between now and (especially on) Fat Tuesday, February 24, Americans all around the country are gearing up to chow down. 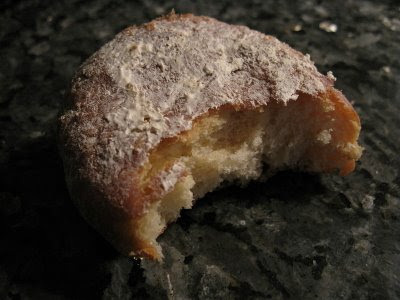 In Parma Heights, Ohio, where I grew up, the food of choice before the fasting of Lent was a Polish donut called a Paczki (pronounced puunch-keys). You can only get them this time of year and-if you are smart-you’ll go early to get these donuts filled with jelly or cream; they are sinfully good. Speaking of sinful, so too are the beignets in New Orleans – a city known not only for its great jazz and food, but, um, other things in abundance. There is nothing like sitting in a corner café and eating these wonderful French confections. I’ve tried to make them as delicate and light as they do in the French Quarter – believe me - it’s easier to buy a plane ticket and go experience the real thing. Baltimore residents prefer hot cross buns and people line up at bakeries waiting for them. They are only available during Lent. 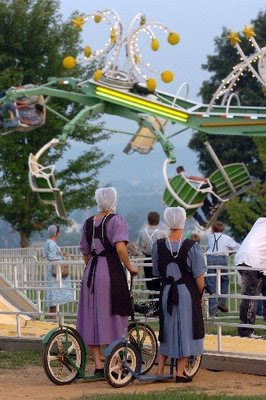 Here in Lancaster County, the choice of the season is fasnachts (or Pudert Faasnachtkuche in Pennsylvania Dutch) - fried donuts that typically used up the lard before the fasting of Lent started. The locals love their fasnachts as much as people in other parts of the country love their specialties, and bakeries will be bursting with orders. So, if you find yourself in the Lancaster County area in the next week, be sure to add it to your list of local foods to experience – because all too soon the fasnachts will be gone. Achenbachs, Shady Maple, Oregon Dairy, Sadie’s Bakery and even the small bakery outside of Terre Hill will all have fasnachts available. If in doubt, call The Artist’s Inn and we’ll steer you to a fasnacht nearby. Some of our favorite guests stayed with us a few weeks ago and brought us a present. A new cat. 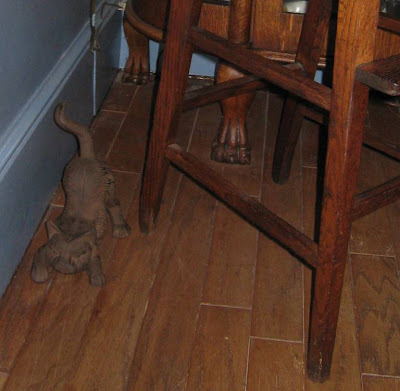 You would have thought that we had enough of the four-legged variety but this one is different – it doesn’t need attention or to be fed, but still looks adorable and has found a spot under the antique high chair in the dining room. It came from one of my new favorite places – Graybuck Country Home in Mohnton. Last fall, my friend, Paula and I went to Graybuck looking for Christmas decorations for the Carriage House. We weren’t disappointed – they have some great ideas and nice gifts. I can’t wait to go back in the summer when the garden center is open. I was already drooling over the outdoor fireplace. Check their website for directions and hours and, if you go, tell Barb we sent you. It seems a lot of my guests are quite fond of shopping. I do my best to investigate new places, whether it’s a craft shop, nursery, or woodworker. There are so many great little stores to discover in Lancaster County – we are really blessed with lots of local talent. But buying is the easy part – getting everything home sometimes presents a challenge. We’ve helped folks tie luggage to the top of cars, mailed home goodies and even held an occasional piece of furniture. I should really start taking pictures of people’s cars when they leave – the shot of two outhouses in the back of the pick-up would have been nice. Or the station wagon packed with purchases – I had to help load the tall planter so it would sit across the laps of three women or it wouldn’t have fit! And so, as I look around the inn, I see that many of my favorite things have been gifts from people. Little reminders of fun times and warm hearts. But the best gifts of all are the friends that come to visit us at The Artist’s Inn. Do those words remind you of a song perhaps? Frank Sinatra recorded it in the 60’s, about Chicago. Although Bruce is a huge fan of Ole’ Blue Eyes, I don’t often have Sinatra songs stuck in my head. But this one came to mind last night as I drove home from a Terre Hill Days Committee meeting. I am secretary on the committee. We organize activities for our little town in Lancaster County, doing all kinds of things to raise money for the upkeep and improvements in our park: Cooking lunch in the community center in February, holding an annual Terre Hill Days Festival in the summer, and making and selling wreaths in the fall, are some of the events that take place in our small town. While I am one of the few people who make it to committee meetings, the most important work is done by scores of volunteers whose tireless efforts make our events successful. It doesn’t matter their age, background, or occupation--these folks all unite for a common good. While the events do provide a social outlet for some, (and laughter is often the common ingredient), the truth is that some serious goals are met each year because people sacrifice their precious free time and pool their talents for our community. Here’s a great example: Due to our current economic climate, the committee lost its sponsor for our annual fireworks show. For the past two years, Conestoga Wood (a local cabinet maker) has graciously donated the funds for this impressive fireworks display. This year, as housing starts have slowed and construction jobs have dwindled, Conestoga Wood has been forced to forego bonuses and to lay off employees. Because of these factors, the company simply couldn’t justify the fireworks expense. It was the right decision, to be sure, but no doubt a difficult one for them. Fireworks have only been part of our Terre Hill Days Festival since 2007 but, once you start something as popular as this event, it’s tough to forego it (sort of like asking kids not to visit Santa at Christmastime). But a donor(s?) (who has asked to remain anonymous) has stepped forward for our little town, and generously donated the money needed for the fireworks to continue in 2009. Doesn’t that just make you warm all over? Oh, to have the financial means to make people happy in such a way! Wow--now that would be rewarding. 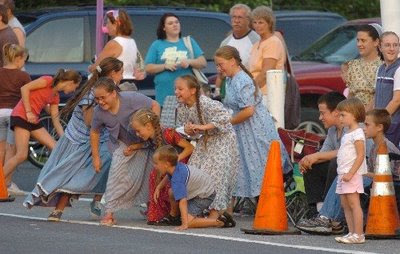 So, if you find yourself in Lancaster County any time from July 16th through the 19th, drop by Terre Hill Park – you’re going to have a good time. If you need a place to rest your feet, contact us, at The Artist's Inn. We’re sure that you’ll find people just like the ones in the Sinatra song….and that’s why Terre Hill is my kind of town - one town that won’t let you down. It was snowing as I drove down the one-way street in downtown Lebanon, PA. 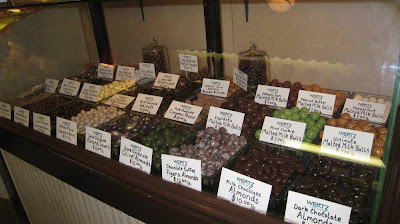 I managed to parallel park the car (on the left side of the street no less), squish through a foot of slushy snow, plug the meter, and headed for Wertz Candy Shop. I opened the door and was instantly transported back to childhood. This closet-sized shop held treats of every kind, from the beautiful upscale almonds to sugar plums to caramel corn popping in the big stainless drum. There’s everything you can imagine and more – in barrels at your feet, piled on top of counters, high on the shelves around the perimeter of the shop and beautifully displayed in old-fashioned glass cases. One can only imagine all the faces of the children that have peered through those glass cases in the last 70 years. And then there’s the chocolate – there were the usual creams, nuts, truffles and turtles. But there are also blobs, molasses coconut strips and chocolate covered bacon with sea salt. You just never know what Bill will come up with. This family has fun with chocolate and was recently featured on “Dirty Jobs” with Mike Rowe. It was quite a hopping place while I was there – people were buying all sorts of candy tucked into every corner of this shop – some people were from far-away places like Spokane and others were from town – like the Chief of Police. That’s when I suddenly remembered that parking meter which had probably expired….the Chief gave me a token, I put it in the meter for the next car and left Lebanon, munching happily on opera fudge. Oh, you say you’ve never heard of opera fudge? Well, you can learn about that and so much more on our Chocolate Covered Romance Tour February 27 and 28 at The Artist's Inn. We’ll spend the day traveling around tasting chocolate with Lancaster County Tours. 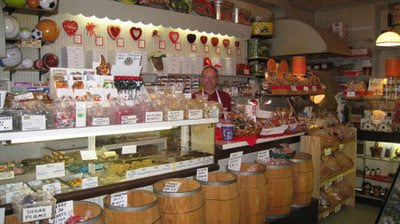 For details see www.artistinn.com/ChocolateCoveredRomance.htm.